Excellent host, location and value! My wife and I stayed at La Selini for 3 nights in September. Lou Ann is a great host. She was always on hand with recommendations for local activities and dining. Including the complimentary wine, it's great value accommodation. I recommend opting for a room with a sea view and balcony - nothing better than sitting on the balcony with a cold beer and watching the sun go down over the beach and port. Everything you need is within walking distance. There's some really nice restaurants just down on the busy waterfront by La Selini. Read more.. Loads to choose from. The rooms are small, but kept very tidy and well decorated. I would highly recommend staying with Lou Ann at La Selini. We stayed at La Selini for just 1 night which wasn't long enough! We were met by Lou-Ann at the Port who then drove us to the hotel. We were made to feel right at home with a glass of wine in the reception area whilst we were checked in and Lou-Ann explained the hotspots to visit on our tourist map and answered any questions we had. She was always on hand with recommendations of activities and restaurants. Read more.. We were also offered a choice of 2 rooms upon arrival and opted for the higher up room with a lovely sea view from the balcony. 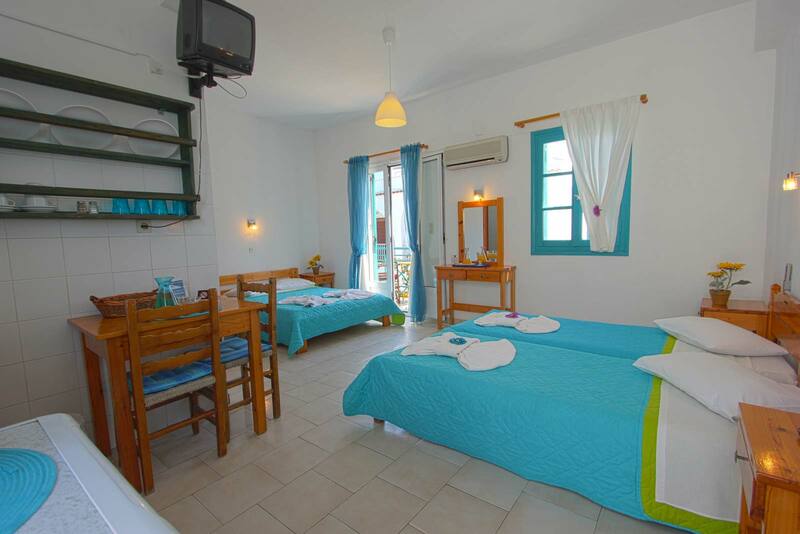 The rooms are nicely decorated, wifi works well, the hotel is very conveniently located and offers great value for money. I would highly recommend staying at La Selini. Perfection! The best of the best! My wife and I stayed at La Selini for 4 nights, a truly wonderful stay and undoubtedly one of our most cherished memories of a 6 week meander through Greece. Other reviewers have already said it all much more eloquently than we could. Lou Ann's service ethic is fantastic -- she bends over backwards to make your stay as enjoyable and interesting as possible. Our room had an ocean view, a small balcony, a fridge, an electric kettle, and some dishes. Read more.. It was so clean that you could eat off the floor. The location is perfect -- walking distance to everything including the ferry port but if you like, Lou Ann will pick you up and drop you off at the ferry. The price is very reasonable compared to other hotels. We did a lot of research prior to our arrival and are confident that La Selini is the best deal on the island. While some people would prefer to stay in Naoussa (rather than in Parikia) because it is so quaint, we are glad that we stayed in Parikia -- it is a far better choice as a transportation hub for the island, plus its hotels (like La Selini) are better value. Stayed at la selini for 11 nights and was impressed by the excellent level of service we received. Nothing was to much trouble and the owner was always available to offer advice, assist with booking activities, or to offer a complimentary jug of wine. 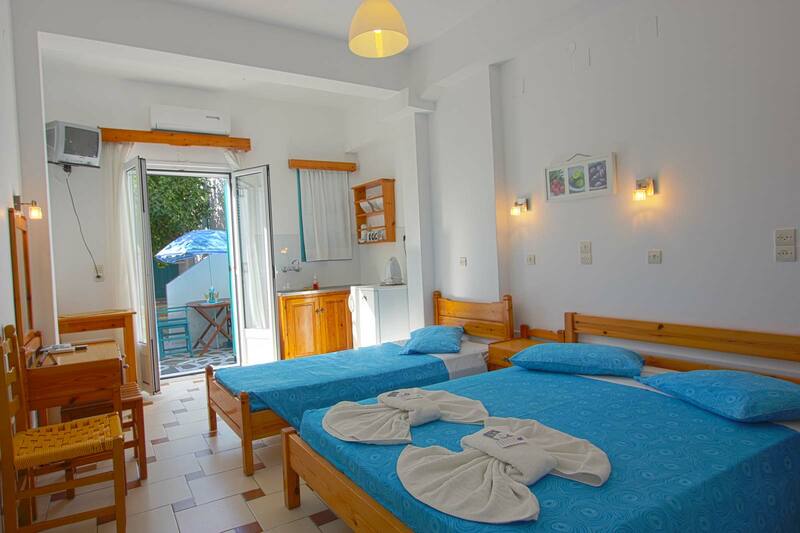 Our room was furnished simply however the decor was fresh and inviting and overall offered superb value for money. LA Selini ... you'd be hard pressed to find better. The owner of LA Selini, Lou Ann, is born to the hospitality world. Nothing was a problem for her and she was often the one to make suggestions and offers. The rooms are clean and quiet. The wifi reception is very good (vital if needing to look at ferry times and flight details) and the nightly offer of a wine was welcome. There is a small fridge for breakfast items, unless of course you prefer the excellent local restaurants and cafes which offer local produce. Read more.. The snapper at Amora's was the best simple fish meal I have had in recent years. Crispy and salty on the outside and moist on the inside. I stayed for several nights in October 2013. Because it was the low season Lou Anne could be flexible with some changes to my plans. She deserves all the very best for LA Selini. Paros is not Mykonos nor Santorini ... and all better for it! It is relaxed, friendly, good ferry service to other islands including Antiparos, easy accessibility, interesting history and very reasonably priced. I stayed here recently and the place offers excellent value for money and is perfectly located between the beaches and the ton which are all within easy walking distance. The hotel is a couple of streets away from the main road so is very quiet with no traffic noise. The owner Lou Ann goes well above and beyond what is expected and offers to transfer you to and from the port, even though it is within walking distance and she is always on hand for advice and provides free water and wine upon arrival. 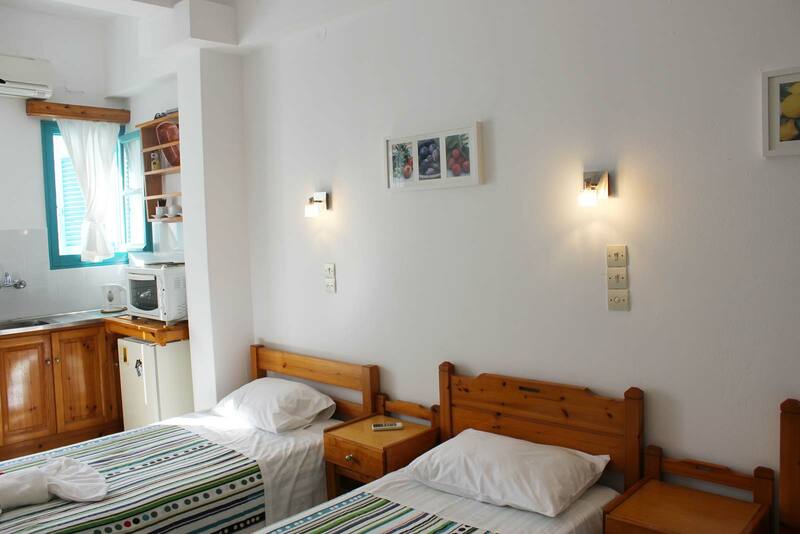 The rooms are very clean and have a fridge and balcony. We spent 2 days in the hotel, the room is clean has a fridge and an excellent ultra rapid wifi line free. The hotel is really well located close to the center, the beach, the restaurants. Paros is a beautiful island, when you arrive with the ferry Lou Lovelace the owner comes and drives you to the hotel. The ferry place is just 400mt form the hotel but if you carry a lot of staff is confortable to take a lift. Beside the hotel you find the beach you can walk in 5 min you are there. Read more.. You can do a 20 min talk and arrive to Marcello beach really nice or you con rent a scooter for 15 euro a day. Breakfast istituto not provided butta close to the hotel you nave a bakery or plenty of bars. The owner of the hotel Lou istituto really kind and helps you in organizing everything you want. Have stayed in this wonderful place 3 times so far and plan for many more. We found Lou Ann outside the port and went to speak to her first, bypassing the other aggressive hotel owners that were there. She took us to her rooms and we were so pleased we made the right choice. The beautiful colors, the cleanliness of the rooms, the location and of course Lou Ann's hospitality! Need I say more? 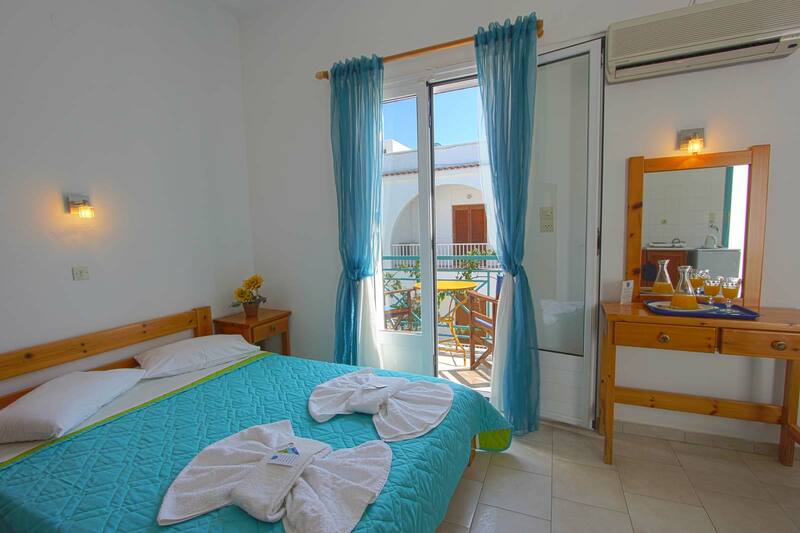 If you're planning on going to Paros La Selini is definitely the place to stay.